The Lineman Gut Belt is our standard belt with four hooks that holds up your lineman belt. 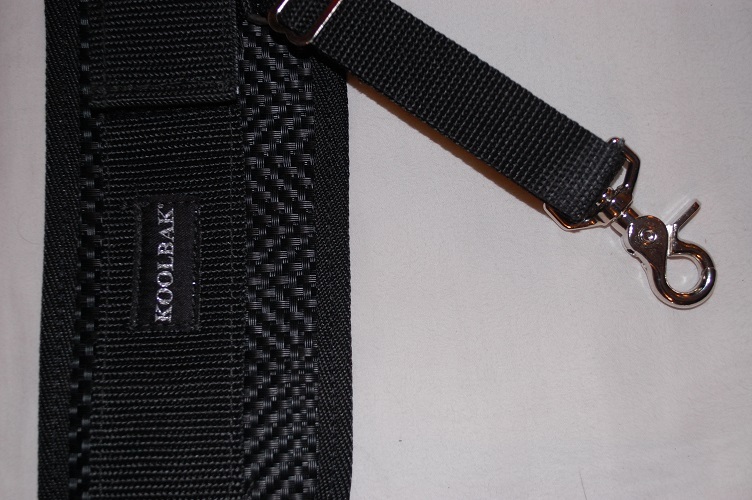 KoolBak belts greatly relieve back pain without slipping or rolling. The belts are made from a patented design consisting of multiple layers of breathable, coated, reinforced mesh with compression technology. They are strong, cool, washable, durable, and comfortable. Each Lineman Gut Belt is $54.95 plus shipping. 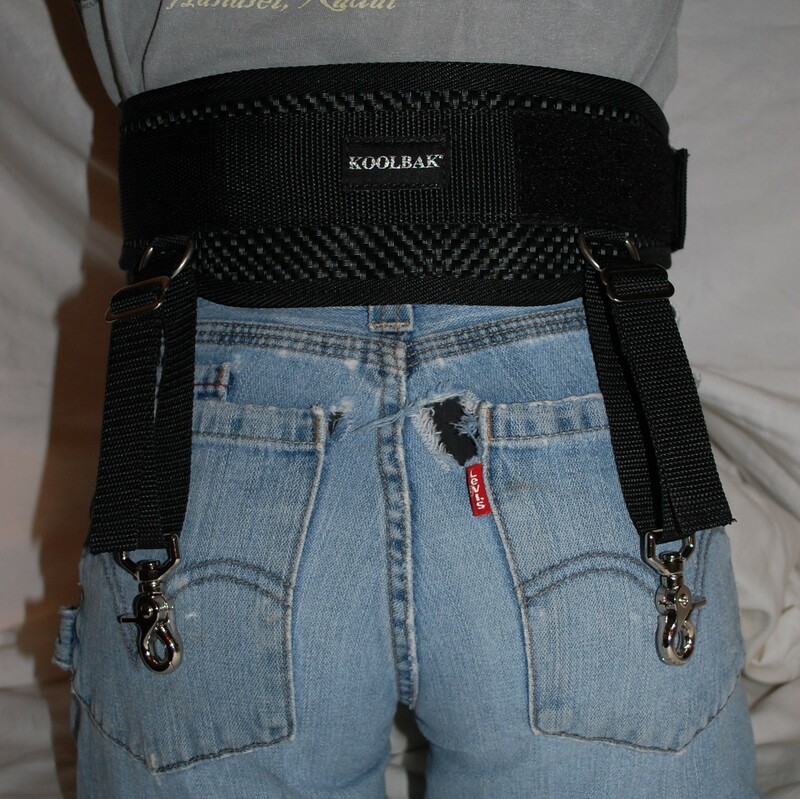 The KoolBak Lineman Back Support Belt is THE approved “gutstrap” belt of PGE; custom designed over 10 years ago with the manager of the Poleyard for their new hires.